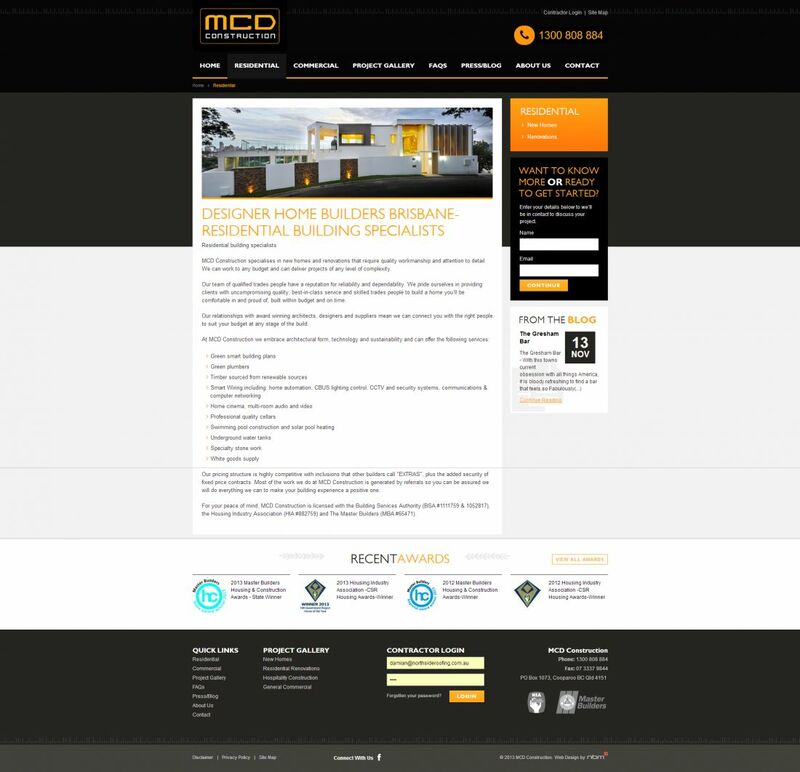 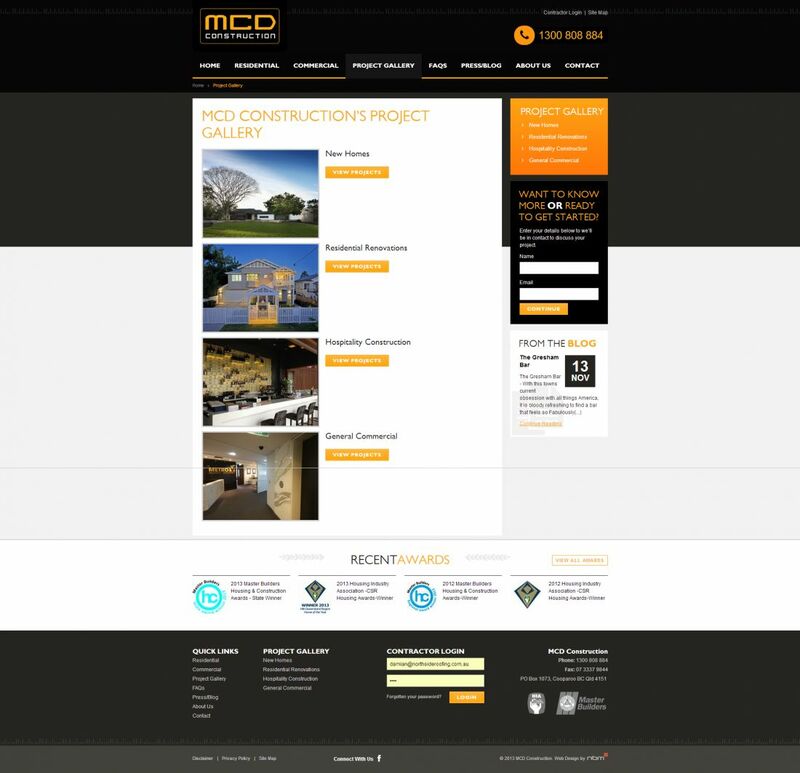 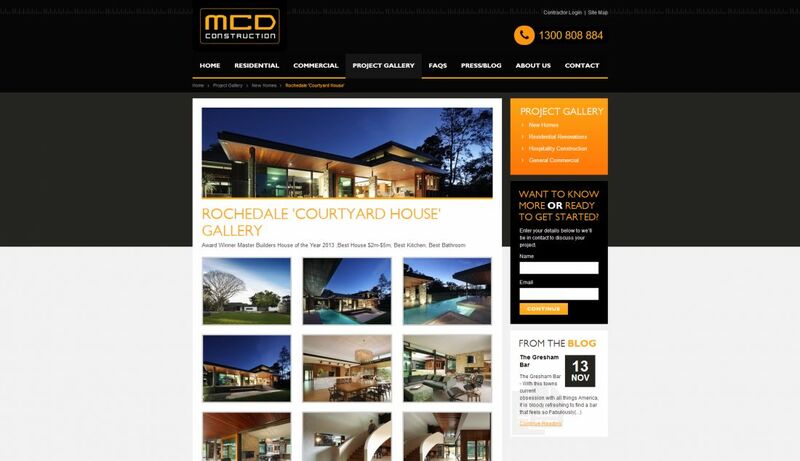 MCD Construction specialises in individual projects that require a high standard of workmanship and attention to detail, that's why they contacted NBM to deliver a high standard online presence. 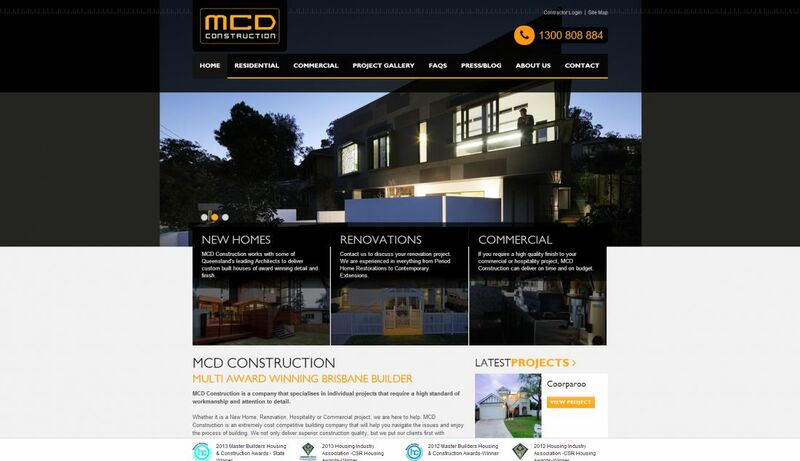 NBM delivered a stylish online marketing piece for this Brisbane based construction company, that showcases their high quality workmanship and award winning homes. 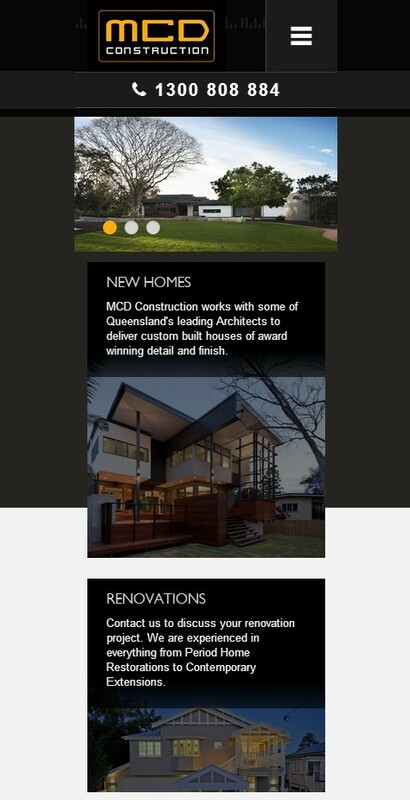 NBM also custom built a backend intranet for their team to collaborate responsively with project contractors via any device.